The Redman fittings are a unique and innovative solution to quickly and easily connect polyethylene pipes for potable and non-potable water applications. Suitable for all polyethylene water pipes, as well as Radius Systems’ Puriton and selected barrier pipes used for the transportation of potable water in contaminated land, the Redman fittings joint can be made in all weather conditions even with water in the pipeline. 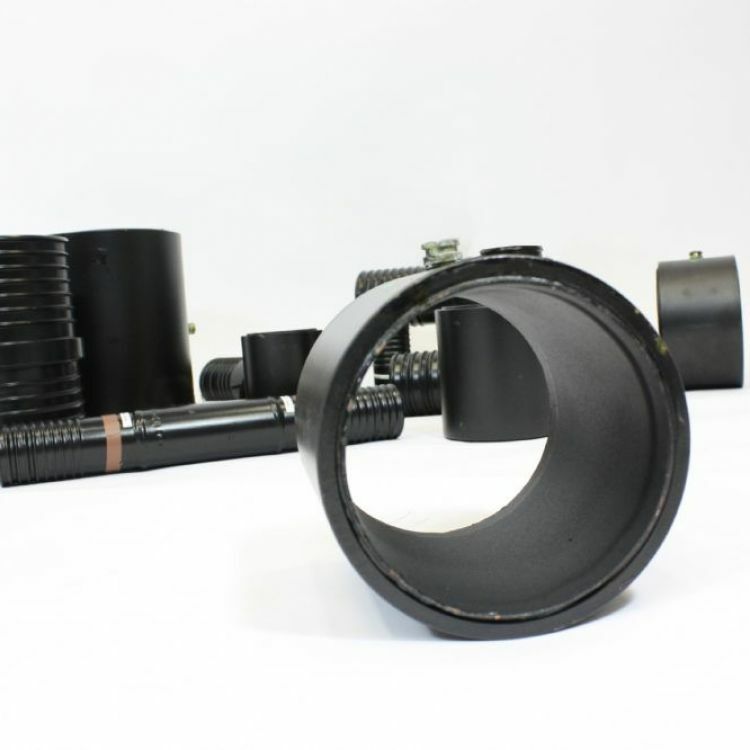 Simple to install with little pipe preparation, the joint is made by pressurising the outer shell of the fitting using a dedicated hydraulic pump. Once made, the Redman fitting provides a ‘fit and forget’ end-load-bearing joint. Available in diameters 63mm to 180mm, the Redman fittings offer a full corrosion resistant alternative to existing polyethylene pipe jointing methods.